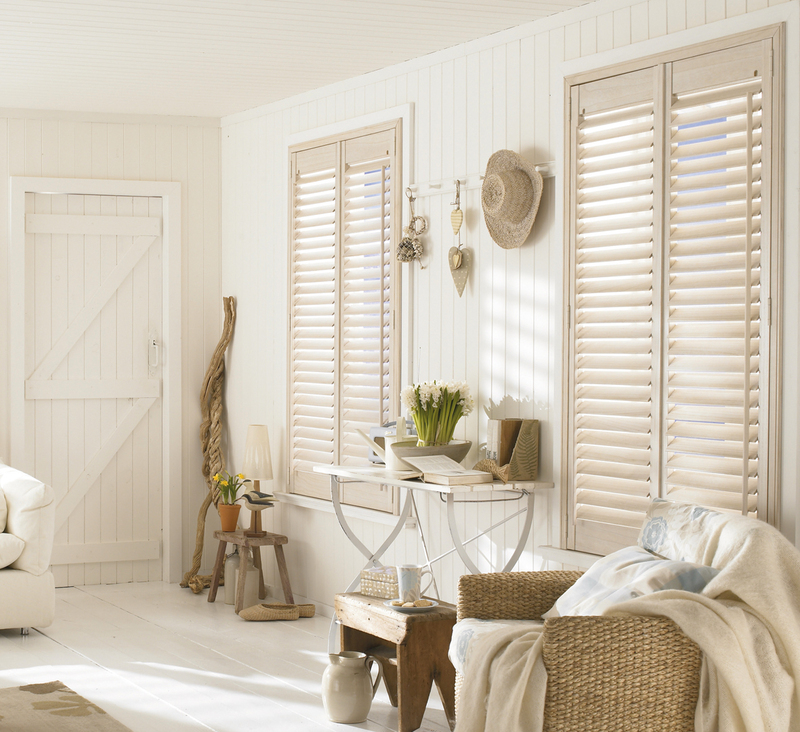 Inspired by traditional plantation shutters, shutter blinds are a fashionable and functional addition to windows throughout the home. Not only do they look great and elevate the design of every space, but they offer a multitude of practical benefits that make your home more comfortable. Shutters will give you full control over the sunlight that enters your room. The louvres can be angled to filter just the right amount inside. At the same time, your privacy is maintained so you feel secure and comfortable. 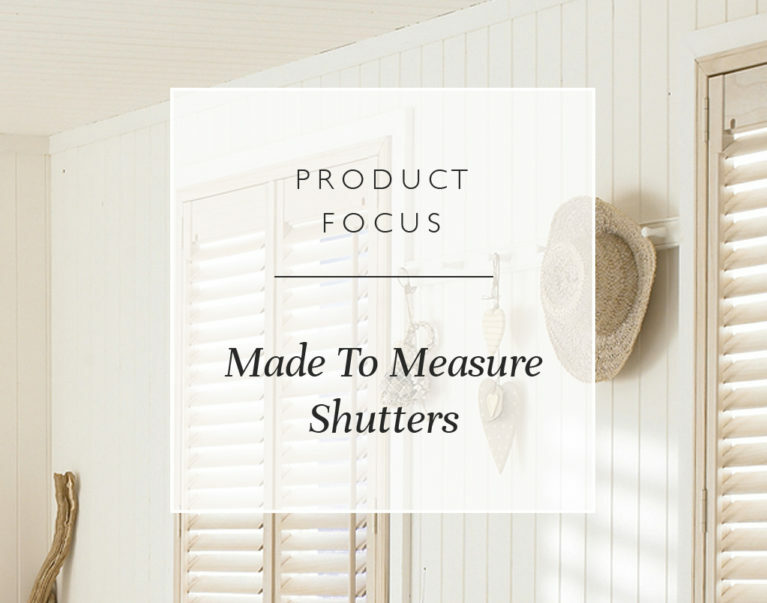 This makes shutters ideal for bedrooms and spaces where you and your family regularly gather, like the kitchen or living room. Shutters help to reduce the amount of heat lost through windows. During the summer, they block sunlight and absorb heat and keep your home cool, as well as protecting you from UV rays when you’re inside. During the winter months, they help to keep the warmth in and the cold out. Shutters also provide sound insulation, protecting your ears from activity outside. Real wood shutters provide a warm and charming look with their unique wood grain. While they are relatively lightweight, these wooden shutters are very hardwearing and guaranteed to last for the long term. 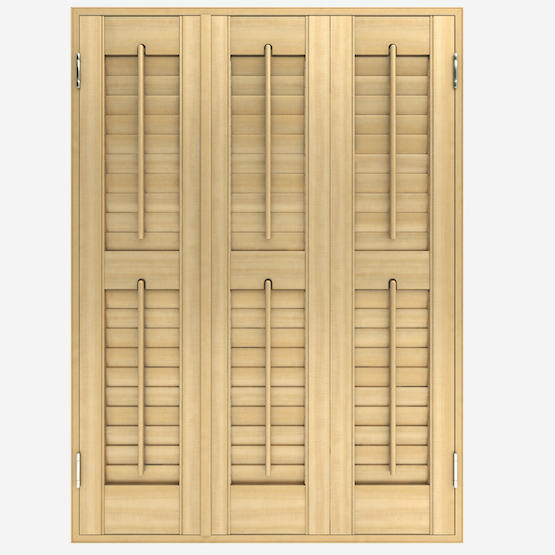 Since they are naturally cosy, we recommend our real wood shutters for bedrooms and living rooms. 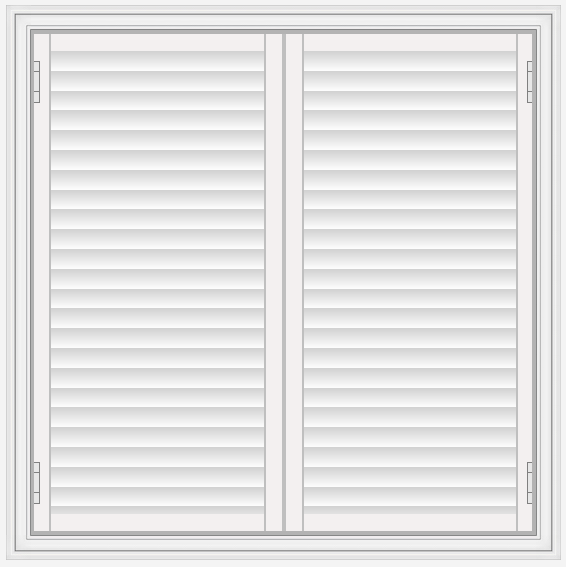 Our faux wooden shutters are ideal for moisture-prone spaces, such as bathrooms, kitchens and utility rooms. They are crafted from sturdy uPVC, so they can stand up against daily wear and tear along with splashes, spills and condensation. Our faux wood shutters are also resistant to cracking and warping, which can be caused by humid environments and fluctuating temperatures. 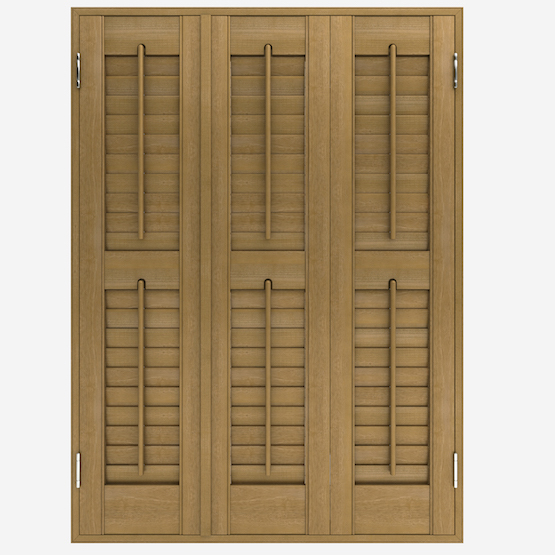 Our shutters are available in a range of neutral shades including white, cream and grey, along with warm woody tones of oak, chestnut and walnut. These colour options all bring an element of class and sophistication, enhancing the features of your windows whilst coordinating with the rest of your space. You can also choose between white, cream, gold, brass or silver hardware to tie in with the rest of your decor. A full height shutter will cover the full height of your window, providing total privacy and excellent light control. They bring great symmetry and sleekness to your windows with the simple panel configuration. Mid rails can also be added for added structural support, especially if your windows are particularly tall. We recommend full height shutters for a variety of property types, including traditional and new builds. They work very well across all rooms and for all window types, lending especially well to living rooms and dining rooms with large windows. Cafe-style shutters cover the bottom half of your windows, allowing the top section to remain bare. This design allows sunlight to enter the room whilst maintaining an element of privacy. We recommend cafe-style shutters for bay windows, as well as spaces requiring a flexible level of privacy. 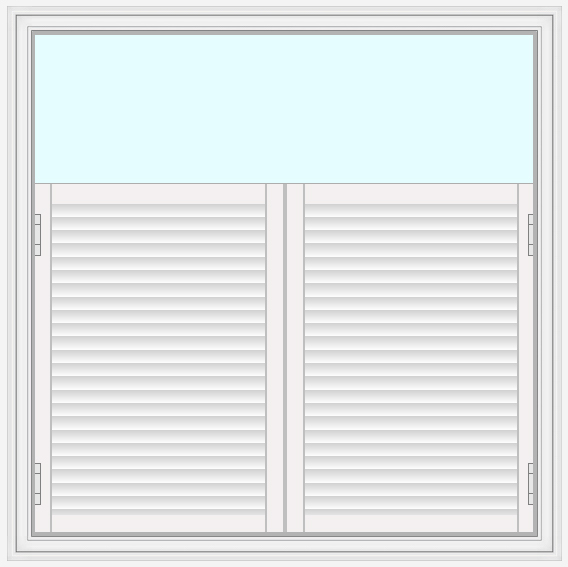 A bathroom window located above the bath, for example, would benefit from this type of shutter. You can couple your cafe-style shutters with curtains for a more cosy look, especially in the bedroom. Tier-on-tier shutters provide a happy medium between full height and cafe-style, allowing the top and bottom shutters to function independently for your desired level of privacy and sunlight. Tier-on-tier shutters are a stylish and practical choice, perfect for a range of windows including sash and bay. If you’re looking to add shutters to a ground floor room, consider tier-on-tier for more flexibility. For all styles of shutters at Blinds Direct, you can choose the panel configuration, louvre size and tilt-rod configuration. With tier-on-tier shutters, you can also decide how high from the bottom you wish your shutters to split. 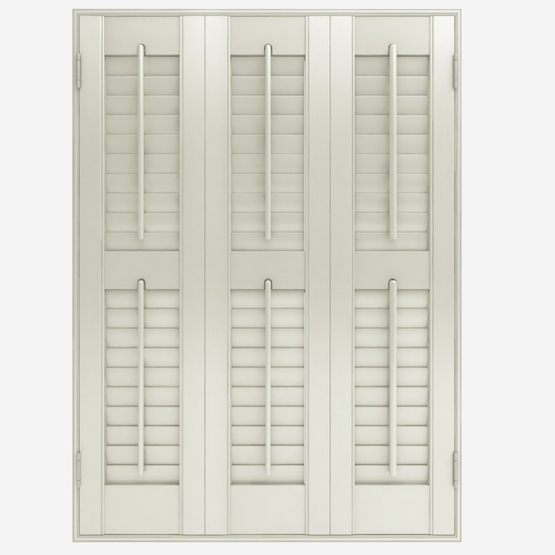 There are a number of different frame options for your shutters. The type of frame you choose will depend on the size, shape and features of your window, including windowsills and architraves. 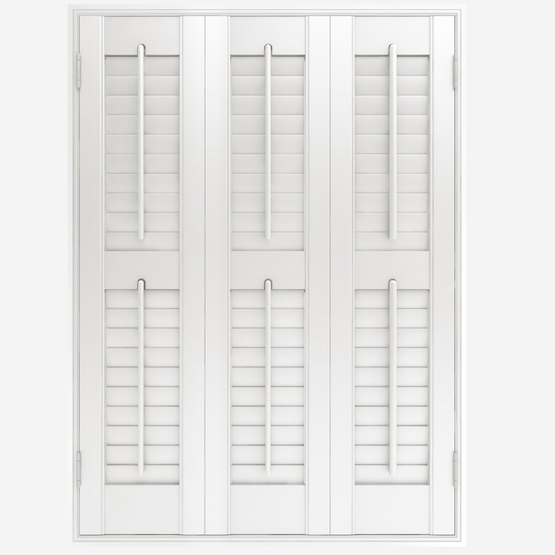 The frame will also depend on where you want to mount your shutters: either inside (within the recess) or outside. Inside/recess fit shutters sit inside the recess and will normally fit flush against the wall. This means the measurements are slightly smaller than an outside fit shutter, which would be mounted onto the wall that surrounds the window. The Z frame is used exclusively for inside mounting. As the name suggests, the frame resembles the letter Z, and part of this zig-zag shape sits inside the window. The other part of the frame affixes around the window, creating a lip which ensures a flush frame with no gaps. The Z frame can be installed with both an architrave and windowsill. There are two types of L frames for both inside and outside mounting. These frames resemble an L shape, sitting either inside the window recess at any depth, or outside if your window dictates. 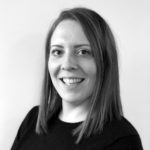 If you are unsure of which frame you require, get in touch with our team for expert tips and advice. 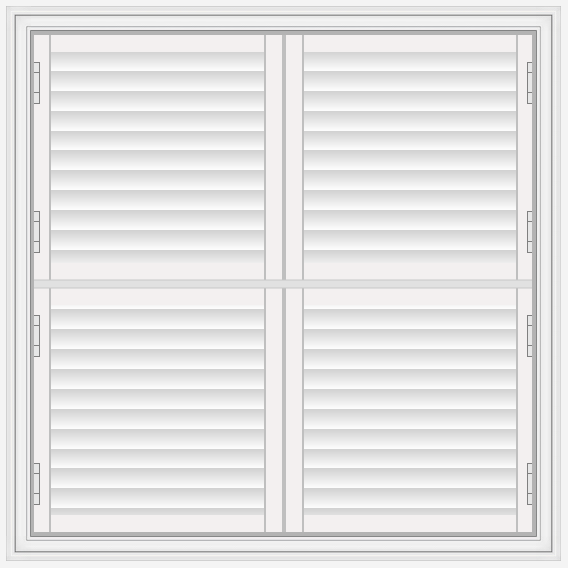 Here’s a selection of shutters available at Blinds Direct, starting from just £40.50. Click the images to shop. 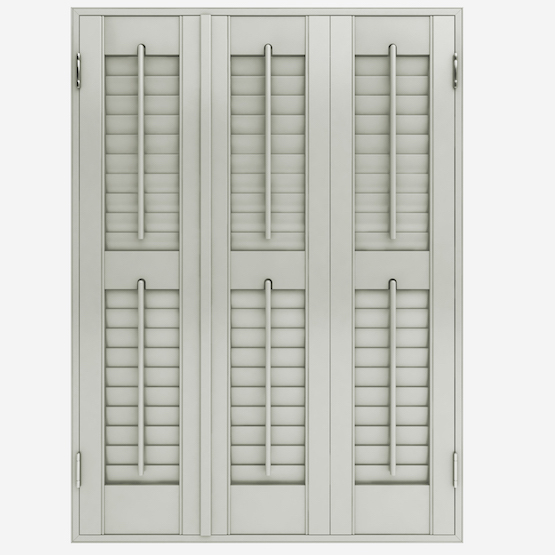 You can also view our full collection of shutters here. Make more of your windows with a high quality shutter from Blinds Direct. Choose from a wide range of styles and finishes, each made to the highest standards and only the best components. Want to know more? 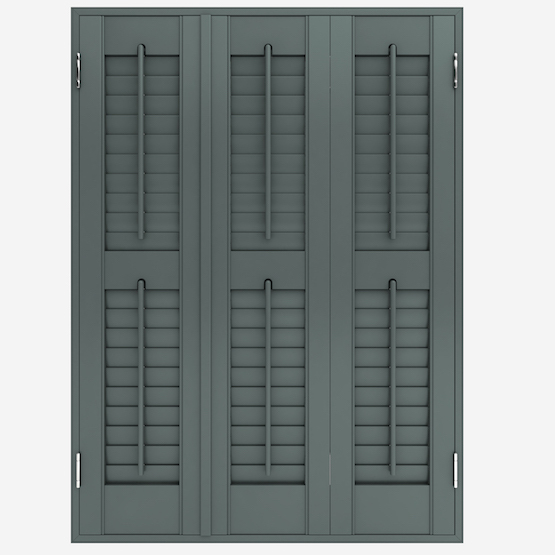 Explore our shutters collection or get in touch for more information.